Hi this is Steven Mill and today I want to tell you about my experience as an electrical engineer. That’s why I wrote this article which gathers 10 safety precautions you should take when you work on LV equipement. I have put together this article with an intention of providing some safety precautions to all those electricians and electrical engineers out there, who work on low voltage equipment regularly. Irrespective of the kind of experience you have in this field, I strongly suggest you to stay alert even when you are repairing the minutest of the faults, especially, when the electrical equipment is live. 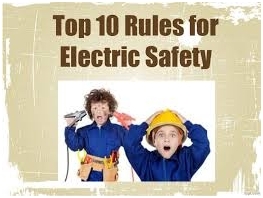 Being an electrical engineer and having served in this field for over 10 years, I strongly recommend you to follow the below mentioned ten most important safety precautions that can help you keep away from electrical hazards.